There are currently 3,662 users on this website. Hi, I was going through a collection I purchased and found this stamp. It is a Hartford type 461 and was in the "spot" for the 1916 Perf 10 Coil. The 4c Perf 10 is listed in the classic catalog. However, the perfs caught my eye and indeed these are perf 12, which would make it a 1908 Coil. The 1908 Coil for Hartford is not listed, in fact there are only a few listed 1908 coils at all in the PSS catalog. 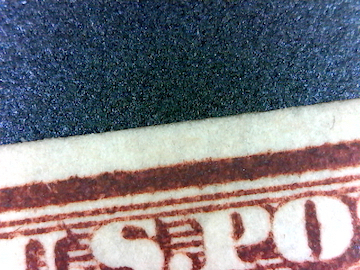 So, is this a fake or is it possible the local postoffice had an older roll of coil stamps that they use and this is unlisted? Any thoughts appreciated. This isn't listed in the PSS Catalog of City Type Coils Precanceled by Coil Machines either. I sent your image to Bob Noble & Woody Hahn for their opinions. They are two of the top collectors in the PSS. I have also sent it to Dave Smith for his opinion. Thanks for forwarding. Looking forward to their opinion. my guess: a trimmed perf 12, knowing the watermark would help, if its single line WM it is 100% fake. also there are no Hartford WI known on any perf-12's... so whoever made this coil (if faked) ruined a unique stamp in the process. CHASA...the fact that it is unlisted does not make it a fake! I have a suggestion: Why not wait til it has been examined by three experts on the subject BEFORE anyone casts doubt on the item? Right now, there is no basis to claim the item is a fake other than the fact that the item is unlisted. Fact is Bob Noble and I have found over 100 items varieties unlisted from The PSS's Catalog of Classic Precancels, Part IIa, Alabama to Montana and even more omitted from Volume IIb. While the Volumes were a great start, they are replete with errors and omissions. The information has been submitted, by Bob, to Phil C. with support. And if you are not familiar with Bob, he's regularly listed in the top 20 counts in the monthly PSS journals. Anyway, based on what Dave says, I'll send this image along to Mike Gutman and Arnold Selengut. Personally, I think the stamp is genuine. So, the question is whether the precancel is valid or it is a favor precancel. Anyway, it will be interesting to hear what the "experts" have to say. FWIW it has a pretty clear DLW and seems to measure out to 25mm which of course is not a guarantee. Will wait to see what the experts say and go from there. 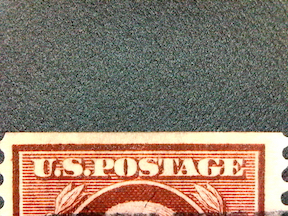 Either someone with precancel expertise faked it to create this unlisted stamp, however, they would have destroyed and existing unlisted stamp to do so. That doesn't seem logical to me. It could have been someone trying to pass it off as a perf 10 coil, but that is a relatively common stamp so not sure of the motivation. Also pretty hard to miss you have a perf 12. It could also have been someone with no knowledge of precancels, and was trying to fake a coil, any by chance found a perf 12 Hartford 461 (which is unknown), trimmed it, and just happened to be a denomination that matches the only known perf 10 coil. However, stranger things have happened. Either way I think it makes sense to get this expertised so will send it in. perhaps you could show a high resolution scan, this image is not sharp. Then you can get more opinions about those edges are really straight. Yes, here you go. Hard for me to tell so appreciate any comments as to whether it is worth getting expertised. Dave Smith indicates the Precancel is Genuine and has passed to Ralph Kimbal for Approval. Ralph Kimball has approved the Precancel and sent to Phil Craford, the "Decider" to be added to the next addition of the PSS's Catalog of Classic Precancels, Part IIb, Nebraska to Wyoming. You see, the fun/challenge of early precancels are there were no records required to be kept by the individual Post Offices of "what stamps" were precanceled or the quantity of stamps precanceled; there is no recorded Post Office database of information for collectors to refer to. The database information that is available has been built by collectors submitting finds (like yours) to the PSS. I fully undecrstand and appreciate CHASA's initial reaction to your post. Why? 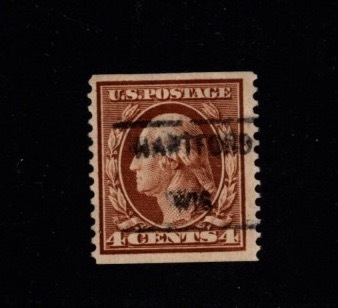 Because far too many Washington-Franklin precanceled coils (and non-precancel coils) have been philatelically created by a few unscrupulous precancel collectors. This causes an immediate "knee-jerk reaction" to challenge a new find. Another reason why CHASA may have been leery of the precancel was the positioning of the precancel device on the stamp. I initially thought this was a "favor" precancel. If it was, it would automatically disqualify the stamp as being a legit precancel. This is why I leave the opinions to people who know more than I do. I know what I know -- I know what I don't know --and I'm smart enough not to cross that line. Anyway, congratulations! You have a new precancel find and I think that's great! Further comments, I am 99.99% sure the precancel is OK and not created by an unscrupulous precancel collector. It is way over 100 years old. The faking risk is not somebody putting a 1.50 precancel on an old stamp - in fact that rarely happens. 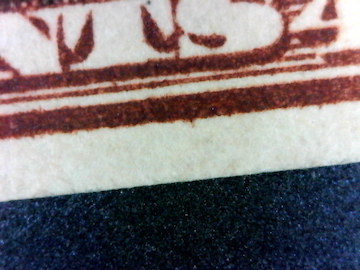 Rather, it is trimming the perfs off a sheet stamp to make a flat plate coil (and ruining a great precancel in the process). The fact that this cancel in known on the perf-10 coil makes the question a lot more interesting, but I would be very surprised if this was a genuine coil. I hope it is, it would be a special find. Can you watermark the stamp? And can you post an image of the watermark? Also, the edges you've posted in the lower 2 images are the level of "closeup" I need, but I need the entire edge (and level if possible so I don't have to tinker with it in Photoshop). Can you post those as well? Depending on the outcome of the watermark result and the better images, I can give you a better feel for whether this is a 354 or not, and worth expertizijng. Some historical perspective - there were zero SC 354 coils listed in the 1940 Hoover reference, and also zero listed in the recent PSS Classics 2 reference. There is one 4C SC 350 known from Benton Harbor MI ( a city with real philatelic shenanegans during that era ). In precancels, new finds do happen, keep your fingers crossed. Thanks All. A quick question on the additional photos ClassicPhilatelist. The top two photos are the entire edge, but I couldn't get a higher resolution because of the limit on posted photos. Maybe there is a way to do this I don't know. I have a scanner of course, and a magnifying USB camera for the latest photos. However, more reoslution makes it greater than 200K. One other question - would be happy to take a picture of the watermark but not sure how - I have a tray and fluid, just use my phone? One other unrelated question. This is a fairly good collection of Wisconsin precancels I am going through, and I have found a couple of others that are unlisted - however they are just unlisted denominations within an issue type that is known. Is it worth sending pictures of these along for the PSS catalog? New denominations (1908-1921) - yes the Editor is keeping a list of new discoveries, someday an addendum will be published. Do you have the e-mail for the PSS, or do you need it? If you have it, make sure the information is directed to Phil Craford. 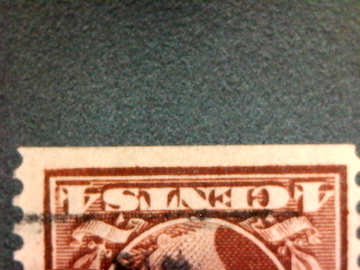 It took 1 seconds to lick this stamp.